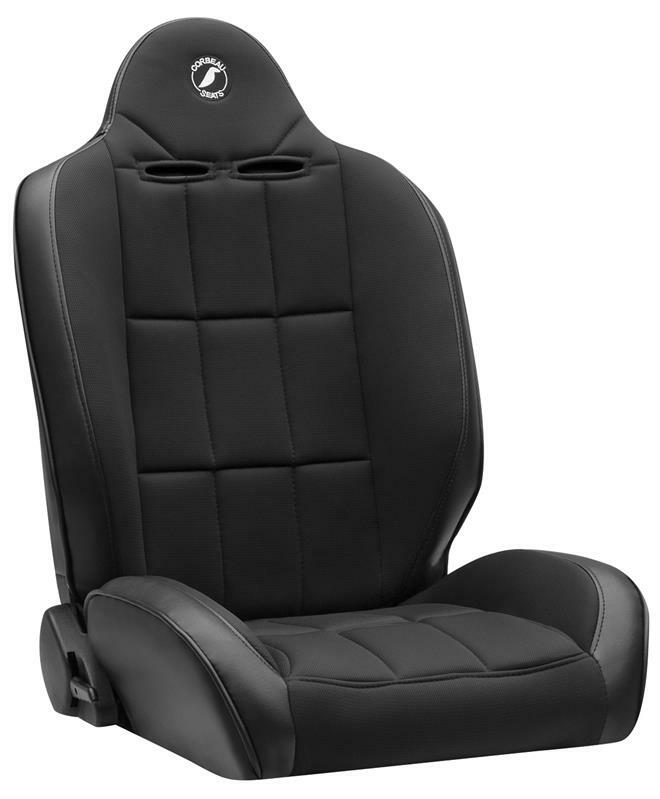 Designed for the off-road enthusiast who still wants a safe, stylish suspension seat without jeopardizing comfort. The Baja SS is now equipped with Corbeau state-of-the-art reclining technology. This coupled with its incredible comfort is what makes the Baja RS seat the most advanced reclining suspension seat available today. Standard features include: infinite recline with a fingertip controlled reclining mechanism, powder coated steel frame, reinforced nylon, inner laced with military grade suspension cords, integrated full body support, and 5-point harness capability. The Baja RS seat fits up to a 44-inch waist but will comfortably fit drivers off all shapes and sizes. Please also note the Baja RS is a direct bolt-in to CJ and YJ Jeeps. That’s right— no brackets required for most CJ and YJ Jeeps!